could I handle the prejudice? that would come my way? and you don’t need to be either. and found a word to explain it. So why do you think I’m alien? just being real about it all mate. so complex, so weird, so strange? and I’ll treat you the same. Pansexual people are “sluts” or promiscuous. Pansexual people can’t be faithful, be monogamous or can’t fall in love or be in a committed relationship/marriage. Pansexual people are “on the fence”, “going through a phase” and will soon settle for a binary sexuality. Pansexual people can give you a sexual disease due to their “sexual appetite”. 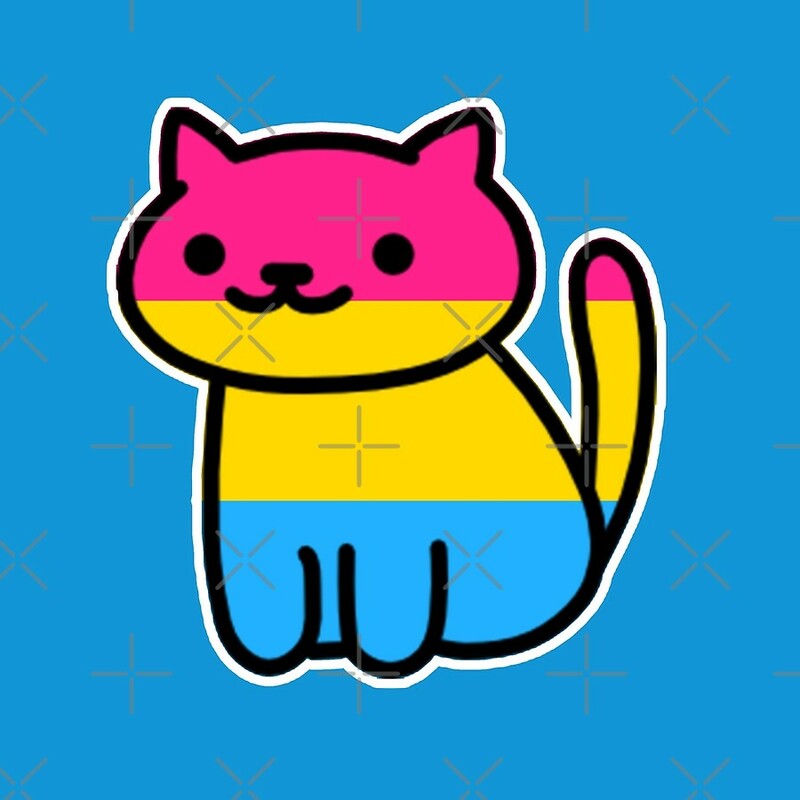 Pansexuality isn’t normal and a pansexual is weird. Minus pansexuality is abnormal, to deny all of the above for all pansexuals would be very wrong. But the same is true of anybody of any sexuality. People are individual and their sexuality is absolutely no indication of what their ideas about any of the above will be. So that’s a lot of what’s behind many peoples’ reasons for not dating a pansexual. So what do I think of people who won’t date someone because they are pansexual? I find that a complicated question to answer. Mainly because there is usually two responses by many people to that question. On one side you get the personal taste argument and on the other you get the everyone who won’t is prejudiced. I’m kind of in the middle (some things never change! :-)). I think it’s personal taste when there is no prejudice reason behind it. If it’s a natural feeling coming from a natural place I find absolutely nothing wrong with that. But to be honest I don’t think of these people as fully the sexuality they often say they are. I put half in front of whatever sexuality they use because I think that if for example a guy says he’s heterosexual and yet he leaves out meeting a woman from a certain group or certain of groups of women it’s like saying you love a big bar of chocolate and you only like a few squares. And that goes for any sexuality including my own in my eyes before anyone thinks I’m getting at straight people. So I find people who wouldn’t think they should put half in front of their sexuality and people with other prejudiced reasoning bigots. So as I said I’m in the middle. I don’t think the feeling is actually wrong but the reasoning often is and the level of respect towards another human being often is. Sometimes the feeling I get is that many of them think they are superior if I’m being honest and that may not always be the intention of the other person. I accept that but when half or something similar is not used it puts me personally on edge that women like me wouldn’t really count for them to be whatever sexuality. So it feels to me like I’m being dismissed as a woman. So that’s often the psychology behind why someone would feel someone was prejudiced in those circumstances. And everything I’ve put in this section goes for every situation including if a pansexual (or anyone in the middle) wouldn’t date a gay or straight person. I sometimes feel quite nervous about entering the dating pool too often as a little pan. These kinds of attitudes are things which gay or straight people might encounter every now and again if even that. But it’s something a pansexual or anyone in the middle would encounter far more regularly. There is good people and people who aren’t half whatever out there but there’s a lot who aren’t. Now with a bigot I’d rather just get out of there as fast as possible because they ain’t worth my time sunshine but I would like to communicate with people who aren’t coming from a prejudiced view/s and are simply halvers (I say that affectionately) because there’s often terrible communication in these situations and neither person has set out to hurt each other and unintentionally they do as things spiral out of control because they don’t communicate. But someone does need to inform you they are a halver or in whatever words they want to use to express that because I personally wouldn’t ask someone out that because I wouldn’t know how they’d react. It’s a dangerous question to ask in other words and different people would react to it in very different ways. In other words I could be friends with someone who is a halver but I need to know they respect me enough to know that I would count for them to be full in their sexuality. This section is not about halvers and focuses on the bigoted ones. The upside of being pan in dating or being in many minority groups in general is that you are more likely not to end up with a narrow-minded bigot. You might have more awkward moments along the way but you are more likely to end up with an open-minded person and that’s one of the beautiful qualities I’d love to find in my future love of my life whatever their gender or sexual orientation. Going back to when I was a kid, I experienced my first trumpet moment very early. For most of my school life I was bullied and one of the plus points that came from that awful situation was that I gained an empathy with people who were treated wrongly because they are deemed different in some way. After all, the reason I was bullied was that I was an introvert and that was seen as different. I also acquired from that a sense of never changing who you are for anyone. If you do that you’ll constantly be doing that to fit the company you’re in. I seen books which said shyness was wrong, many people who felt I was ‘too quiet’ but I was happy being who I was. And I knew early on that no one should make themselves unhappy to fit a model of society’s ‘perfection’. I would like to think I would have known all of this anyway even I hadn’t been bullied. But been bullied definitely had a huge impact on my feelings in these regards. Bullying is at heart singling somebody out because of a difference in some way and as I’ve grew older I’ve felt that prejudice is the exact same thing did in adult society, done slightly more politely and diplomatically often but with the same starting point: a dislike of difference. That’s why when those with bigoted and negative views turn around and claim they are facing prejudice from people standing up to them, it makes me laugh. It’s like a bully in a playground saying people are getting at them because they tell them they are wrong and no better than anyone else. As I got older I knew someone very close to me who suffered from depression. Though I don’t see depression as a stigma, the person I’m talking about did and it caused them a lot of stress and worry. Because of that I won’t mention who the person is in this discussion. But though I had no prejudices about depression beforehand, I came away with knowing secondhand what depression was like. It’s quite difficult seeing someone you love to bits suffering so much and knowing you can’t do anything to ease their pain. After all depression doesn’t work like that. There isn’t a magic cure. But it was nothing compared to what this person went through. And what I realised from that time was that even though we don’t all have depression in our lives every single one of us experience moments of deep sadness where we’re close to being depressed. So it’s really hypocritical when people judge others for human responses to a world none of us completely understands. I always wrote from very early in my life. But a trumpet moment was five years ago when I threw myself almost completely into writing over any other profession. Things weren’t working out too well in other professions. The employment market wasn’t great and still isn’t so I said what the hell? I might as well do what I like doing instead of worrying about the future. Besides without meaning to sound cocky, I knew I wasn’t too bad at it. And I wasn’t much good at anything else so … and then the future I was worried about opened up from there on it’s own. Things happened in writing like they didn’t in other professions. I got published and then published some more. And I’m still on that journey. And I suppose the realisation of that is that things happened because I cared about what I was doing and people could see that. With everything else they must have seen it wasn’t authentic. The final two realisations came in the last few years. I realised that I was pansexual and an atheist. During your twenties, you kind of find that you are searching to find out more about yourself and as you find more and more pieces of truth about yourself you become even happier and more relaxed in yourself. I thought I was straight and catholic. I was brought up catholic and had attended catholic schools growing up. Now I’m not suggesting there’s anything wrong with being straight or catholic but neither of them were me and there was clearly an unhappiness there in me that I wasn’t aware of because when I realised I was pansexual and an atheist I felt happier and freer. I suppose it goes back to authentic again, it felt real and from that comes inner peace and happiness. I remember soon after I realised I was pansexual I briefly worried about prejudice I’d face until my wonderful sister reminded me that I’d faced and came through worse. By the time I realised I was an atheist after that, I didn’t worry about prejudice I’d face about that because yes, I had come through much worse and I would continue to survive over and over. And knowing you’ll survive, that’s a trumpet moment in and of itself. National Coming Out Day was yesterday and National Coming Out Week is currently happening from the 9th of October to the 13th of October. This poem is inspired by that. people say ignorant things before they learn. well no, I realised and I accepted it straightaway. but sadly often still does. My Article Appears On The Bi+ Ireland Website! My article recently was on the Bi+ Ireland website for their ‘We Exist’ Series. I was incredibly honoured to be a part of it. When I realised I was pansexual after a while I did realise that I didn’t know or know of somebody Irish who was pansexual or least openly so. I felt a little alone at that thought actually so this project and all the work Bi+ Ireland do is absolutely great. They make people feel less alone. And I was very happy to share my story for the series and hopefully it will make other pansexual people in Ireland who read it feel less alone and of course other pansexual people everywhere. 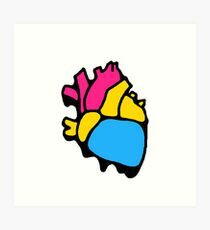 I’m going to write a few posts over time on different aspects when you are pansexual in a little series that I have very unimaginatively called Pansexuality & … This is the first of the series dealing with explaining. Ok, so it’s not like everyone is going to instantly ask you your sexuality. That would be rather rude. Some might but they are a whole other story altogether. But when you get to know people it comes up in very casual ways like who are you into so they can set you up with someone and the like. I probably have been guilty of partially shutting myself off from getting into meaningful relationships either romantic or friendship because I fear the awkwardness which would follow saying I was pansexual. There is many people of course who wouldn’t care but you can’t always tell who they are. 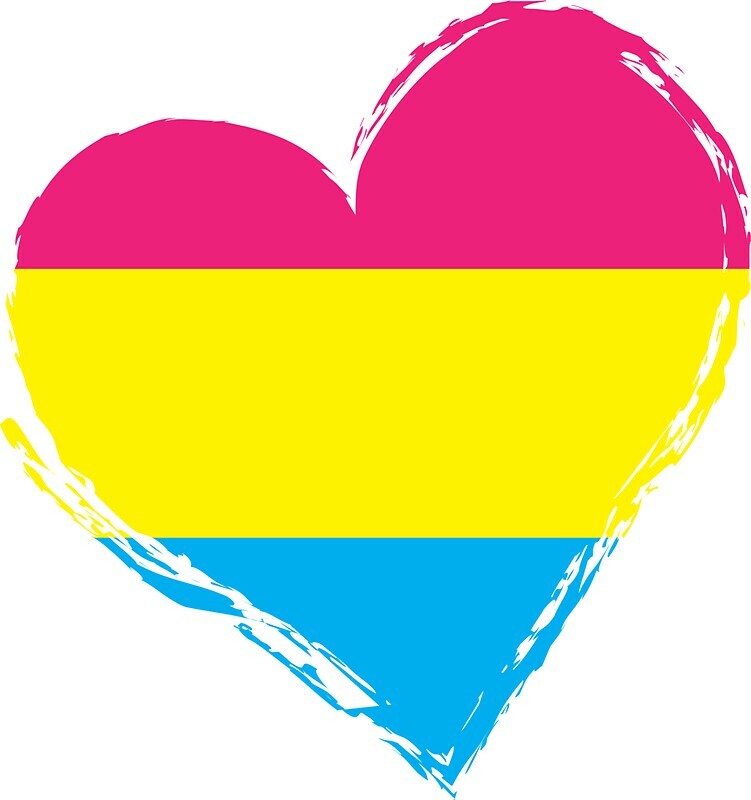 Not everyone at this stage knows what pansexual even means so you feel like you are opening yourself up to possible ignorant questions or possible horror on the face of someone who liked you before. Obviously that’s a problem they have but it can hurt nonetheless. That’s why I feel more comfortable with people who are pansexual or somewhere in the middle with their sexuality because I know they’d understand me. In saying that I don’t want to shut people out who aren’t in the middle because there is lovely people too who aren’t. It’s just a very nerve-wrecking thing often to open up to people who you aren’t sure will get you. And then if you defend yourself you’re deemed too sensitive. Which you’re not. And it can be difficult because when you are going for anything it’s an extra thing to worry about. You want to get to know people but you feel like in some way when they know they’ll always see you as “different” or “something other”. Crazy I know but it is often true. The first thing that would be in so many peoples’ heads when they’d see me would be “She’s the pansexual girl.” and I am very happy and content in my sexuality but there’s more to me than it. It becomes something to comment on and I never think of anyone’s sexuality as something to comment on. It’s just part of them. So that makes you uneasy as well. I don’t think sometimes people put themselves in other peoples’ shoes. It’s uncomfortable when people comment on your sexuality and not everyone else’s. Take for instance if I commented on Kate (fictional obviously) being “the straight girl” and never on anyone else’s sexuality, Kate would get pissed off and she’d be right. And I’m no different. And part of the fear is not wanting to get into conflict with someone while they play the “I meant no harm” card. Communications have an added fear for many of us who are pansexual. I’m an introvert anyway so it’s double the added fear! 🙂 Just be kind to each other, treat each other the same, we all just want to get on in life and be happy. Don’t do anything on people of a particular sexuality or sexualities that you wouldn’t do on another or others. I know most people don’t want to make other people feel uncomfortable so make a real effort not to. Then everyone will be a lot happier in their day-to-day communications. Or do you identify as straight? Or do you identify as gay?